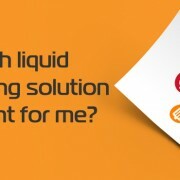 How to choose the right liquid cooling kit? Kit offering on the market is very diverse and sometimes it’s hard to determine which kit is really the best option to start with. This article will guide you through the EK kits and help you make a better decision when you decide to take the next step towards building your dream PC. https://www.ekwb.com/wp-content/uploads/2017/01/New_Solution.jpg 370 705 Atila Gobor https://www.ekwb.com/wp-content/uploads/2015/12/ekwb_logo.png Atila Gobor2016-09-14 00:01:512017-01-26 14:39:50How to choose the right liquid cooling kit?